Especially during or after an invasive chemotherapy, it is important to know about neutropenia and neutropenic precautions. This article will give you a brief insight into the condition, symptoms and what you can do about it. The term 'neutropenia' describes a lack of neutropenic granulocytes. Although there are rare cases of inborn neutropenia, most of the time this granulocyte insufficiency is caused by a disease in the bone marrow (e.g. Leukemia) or various types of medications that can lead to such a reaction. The most common cause of neutropenia is the cancer fighting chemotherapy because the inserted cystostatics can affect the blood cell production. Through the decrease of granulocytes, the immune system is temporarily suppressed and the risk of infections is very high. The length and severity of this suppression largely depends on the type of chemotherapy that is applied. Very strong formulas can cause a long lasting neutropenia and in some cases it can lead to a complete stop of blood production. The production can only be resumed after a bone marrow transplantation or blood stem cell transplantation. If the number of granulocytes sinks below 1000 cells per micro liter blood you are confronted with a severe neutropenia that can lead to dangerous infections, especially if the number is constantly decreasing. The body may become completely defenceless and the patient remains unaware because there are no apparent symptoms. Thus, one the most important neutropenic precautions are regular check-ups. If the disease is discovered early it can still be treated without causing fatal damage to your already weak body. All these above symptoms hint toward an infection that can be caused by neutropenia. You should immediately seek medical attention, particularly during chemotherapy or if you have had one recently. Taking neutropenic precautions is necessary to rule out life-threatening infections and avoid the worst case which is called 'sepsis' and means that your blood is overpowered by bacteria and is therefore intoxicated. This leads to failure of various organs but it is important to know that this can only happen when the neutropenia exists for a very long time and remains undiscovered. 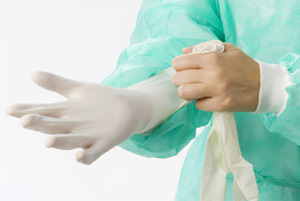 What are neutropenic precautions you should take? If you are at high risk for neutropenia, you must regularly schedule appointments to examine urine, blood, stool and provide mucous samples from the mouth. This is important to determine whether you carry fungus or bacteria that could potentially attack you and cause a sepsis. Apart from regular examinations, there are other important neutropenic precautions you must take. It is crucial that in a weakened condition (e.g. during chemotherapy) you pay a lot of attention to hygiene and avoid contact with people who are sick or have a cold. You should also stay away from pets and other animals as well as from potted plants which may carry bacteria in the soil. You should also avoid eating any foods that may trigger an infection through germs. This means not eating anything that has expired or has been sitting in the fridge for a longer time. Fruit and vegetables should be peeled and washed thoroughly. It is strongly recommended to avoid dishes and foods that include fresh eggs, raw meat and raw fish. Patients who are suffering from long-lasting neutropenia should always wear a mask to protect mouth and nose from bacteria and germs. Always disinfect your hands after touching things in a public environment. You should also take neutropenic precautions by requesting a single-bed room in hospitals and spending extra time on an extensive mouth wash and disinfection.